Thank you for attending the 2015 COHEAO Annual Conference. We hope you find the conference to be informative and engaging. Welcome to the conference homepage. From here, you can download the conference agenda, conference presentations, and much more. Visits to Capitol Hill are also a integral part of the COHEAO Annual Conference. For more information on these important meetings, please see the 2015 COHEAO Annual Conference Advocacy Page. The agenda for the COHEAO Annual Conference is available online. Conference presentations will be listed below as the become available. The Silent Auction is the lone fundraiser for the COHEAO Scholarship Fund. Through the generosity of conference attendees, COHEAO has been able for the past several years to provide four $1,000 scholarships to students with need who attend COHEAO member schools. Please be sure to attend this important event, scheduled for 6:00-7:30 pm on Monday, January 26. Attendees (and other COHEAO members) provide the items for the auction, and we encourage you to donate if you can. Conference delegates often will pick up their donation items from the Pentagon City Mall, which is attached to the conference hotel, the Ritz-Carlton Pentagon City. If you have any questions on the silent auction, please contact Hannah Allen. The Ritz-Carlton Pentagon City is the site for the COHEAO Annual Conference. 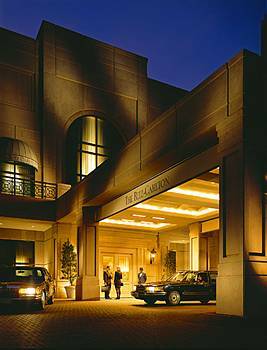 The hotel is located directly beside the Pentagon City Metro Station, which is two stops and a short cab ride away from Regan National Airport. Information on Metro is available online: www.wmata.com. The hotel may be reached at(703) 415-5000.